Max Armstrong's broadcasting career began at age 11 when he strung an antenna wire from his bedroom window to a pole behind the chicken coop. That was on Jim and Stella Fay Armstrong's corn and soybean farm in Indiana's Wabash River Valley. Max turned on the transmitter he built from a mail-order kit, and WMAX was on the air. Its signal barely covered a quarter-mile, and who knows if anyone was listening, but the seeds were sown. Although WMAX didn't last long, Max has been broadcasting ever since. As a boy, Max dreamed of working at one of the big Chicago radio stations, a dream that came true at age 24. But he couldn't have imagined that his 40-year career would also mean originating broadcasts from every state and more than 30 countries. Whether traveling to big farm shows or to visit individual producers, Max got to know remarkable people with compelling stories of struggle and of triumph. And now and then, he bumped into one of those colorful characters with an infectious zest for life who just makes you shake your head and smile. As you read Max's warm tribute to the people he met and the places he went, a few words of caution: You may catch yourself smiling, and perhaps tearing up a little, and you may have trouble putting the book down. 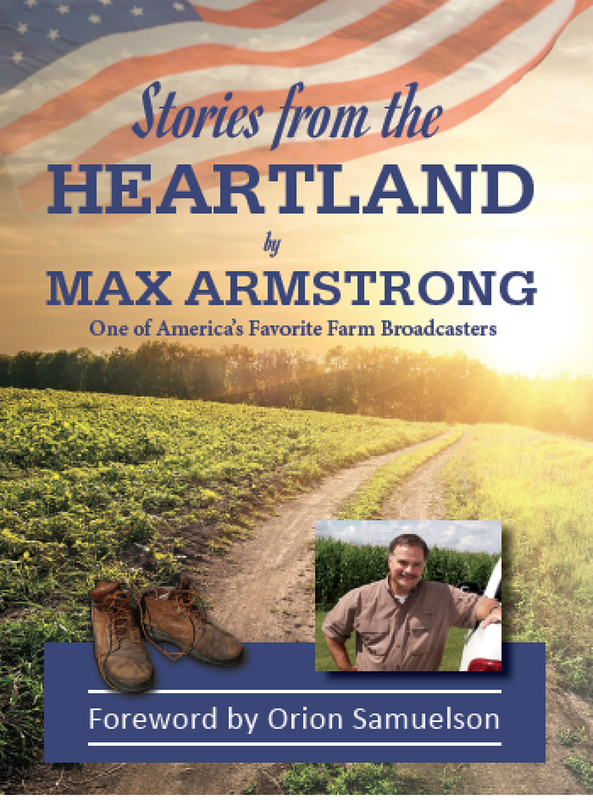 With a passion fueled by the lessons he learned on the farm, Max has become, as the cover states, one of America's favorite farm broadcasters as he advocates for the men and women who feed the world. Irma comes to life to can.